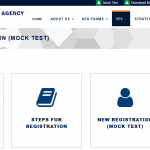 NTA JEE Main Mock Test 2019: The National Testing Agency (NTA) is going to conduct JEE Main 2019 Examination Twice in a year and the First exam is in January 2019. Also, National Testing Agency is going to conduct JEE Main 2019 Paper 1 and Paper 2. Furthermore, practising of the online mock test is as important as preparing for the exam and making revision plans. As many times students appearing for online exams, Computer Based Test (CBT) faces difficulty. The reason is very simple the candidates are less optimised for such online exams till then and facing it for the first time. The aim of the JEE Main Mock Test 2019 is making students familiar with the CBT model of online exam. And to update the structure/pattern of question paper appearing on the screen. 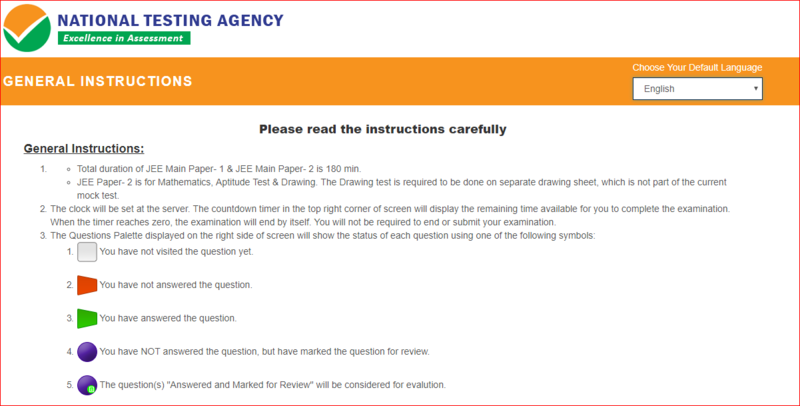 The JEE Main Mock Test Official Link is Given Below. Right now, for JEE (Main) Paper I: four & for Paper II: one Mock Test is available. 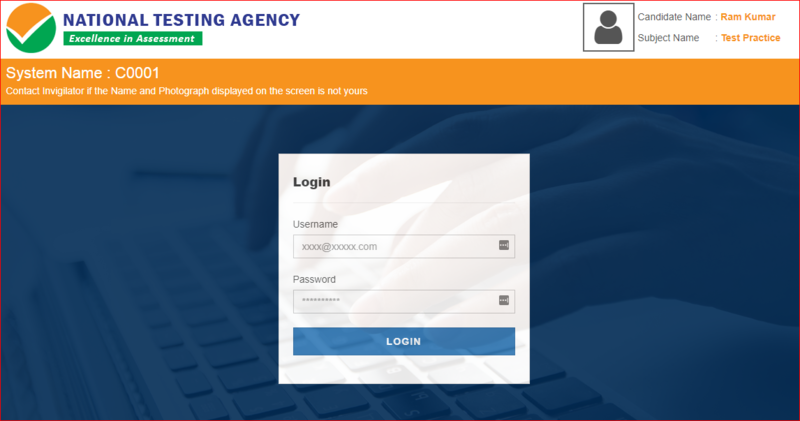 After the introduction of Online examination modes, It is important to practice from Mock test paper to feel comfortable while giving an online computer based test. Also, candidates can practise from the earlier year’s question papers. Latest Update: JEE Main 2019 April Application Form has been started from 08 February 2019. Check Your JEE Main Rank Here. The newly-formed National Testing Agency (NTA) is going to set up 3000 centres to let JEE Main & NEET UG 2019 Applicants to practice computer-based free mock test. 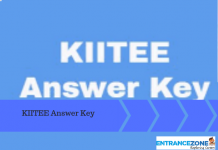 How to take JEE Main Mock Test 2019 from NTA Website? What is a Test Practice Centre (TPC)? 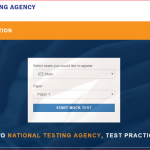 National Testing Agency launched Mock Test App for Joint Entrance Examination (Main). The app can be downloaded from the NTA official website. The app is called “NTA Student”, where candidates can locate their exam centres and nearest test practice centre. Download the NTA Student App for JEE Main Preparation Here: NTA Student App. 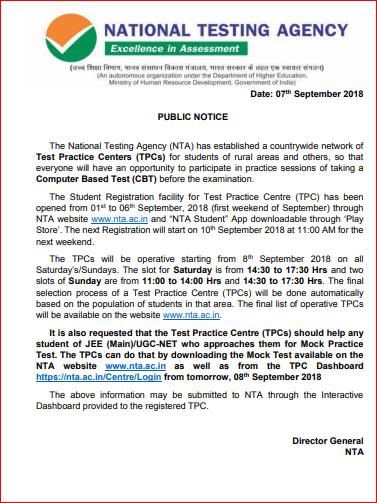 Mock Test Timings: The TPCs will be open for Mock Test, starting from 8th September 2018 on all Saturday’s/Sundays. The online NTA Mock Test for JEE Main 2019 is available in English and Hindi language for the candidates appearing for JEE Main Paper 1 (B.tech. courses). Student Registration (Mock Test) Here: www.ntatpc.in and www.nta.ac.in/Quiz. 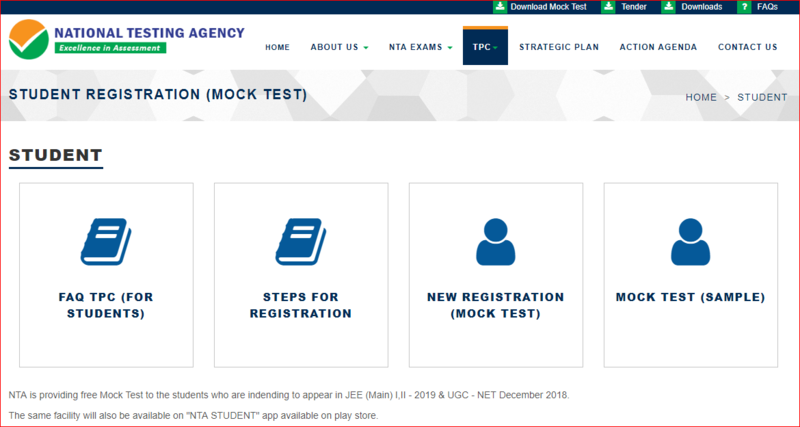 Official Website link: The link for the NTA mock test of JEE Main 2019 is linked here. The candidates looking for NTA Mock Test Registration should follow the below-given details. Go to the NTA official website and search for “TPC”. Then click for Students Link i.e. www.nta.ac.in/Student. 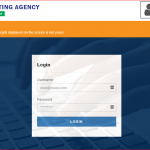 And, Click on the “New Registration – Mock Test” button. Students can log in through google id, facebook id and mobile number at www.ntatpc.in. Firstly, Go through the FAQ TPC (for Students) and Steps for Registration and then click on the “Registration” button. Also, Choose the default language. And, For Student Registration and Center Selection android application is also available on play store. Finally, click on the “I am ready to begin” button to start Mock test for JEE Main 2019. Note: Download the detailed Steps for Registration here. 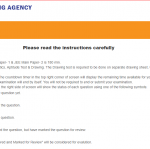 How to take Sample Mock Test? The Joint Entrance Examination (Main) well known as JEE Main 2019 is conducted by National Testing Agency (NTA). A large number of engineering aspirants opt for this exam as this is the only gateway for admission in top engineering institutes in India. click above on JEE Main 2019 and read about full details. The information brochure with all the details is available on the website. NTA mock test for jee is beneficial for candidates appearing in JEE Mains 2019 examination in January & April 2019. The mock test helps in strategic preparation. 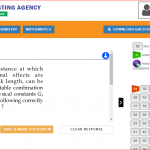 Find NTA mock test centres at Nationa Testing Agency Official Website www.nta.ac.in. How many numbers of attempts are allowed for students to appear in Mock Test in Test Practice Centre (TPC)? There is No Limit to the number of attempts. Aspirants can choose next date of Mock test after the completion of the current test he is taking. Fees for Mock Test: The mock test is completely free of cost and Test Practice Centre (TPC) will not charge any fee from the students. How will candidates know about the Test Date and Slot of Test Practice Centre (TPC) Mock Test? 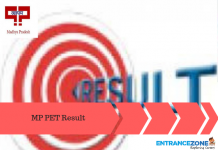 The registered candidates will receive the date, time and slot for practice (Mock Test) at TPC through SMS/registered e-mail Id 48 hours before the scheduled slot in TPC. The same SMS will be used for entry at the Centre. HRD Minister (Shri Prakash Javadekar) inaugurates over 3400 Test Practice Centres (TPCs) for entrance examinations for Higher Education, across 622 Districts in India. 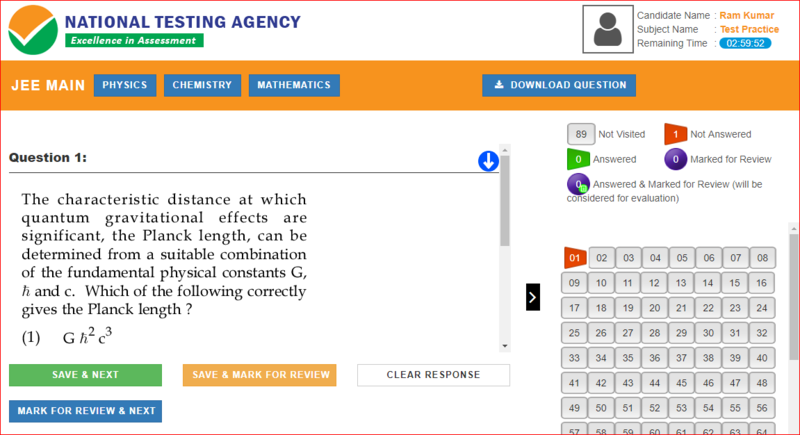 National Testing Agency has also launched an App on google store through which students can practice on their computers or smartphones. The link to the official JEE Main website is given here. Stay tuned to EntranceZone.com for JEE Main Mock Test 2019 updates.